Cara DiMarcantonio is a Junior Politics major at the Catholic University of America. When she's not helping out in the office, you can find her on Catholic's campus giving a tour to prospective students, singing in the praise & worship adoration choir, or working in the Music, Art, and Drama School's Box Office. Cara is currently the Director of Development for Renew, a small group based faith sharing community affiliated with Campus Ministry that reflects together on the Gospel for the upcoming Sunday Mass. She also serves as the Secretary of the Catholic University Intelligence Club, maintaining regular correspondence with members about intelligence-related events and educational opportunities. After graduation, she hopes to work in national security, conducting political analysis on the Latin American region. 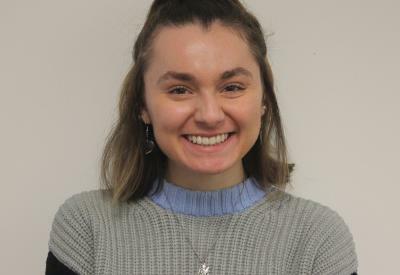 Cara intends to infuse CMN's commitment to life and restorative justice into her future career, compassionately countering violent political extremism with ethically and morally sound policy recommendations.